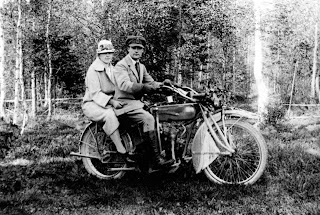 There is nothing like a motorcycle to impress a girl you want to get better known to. 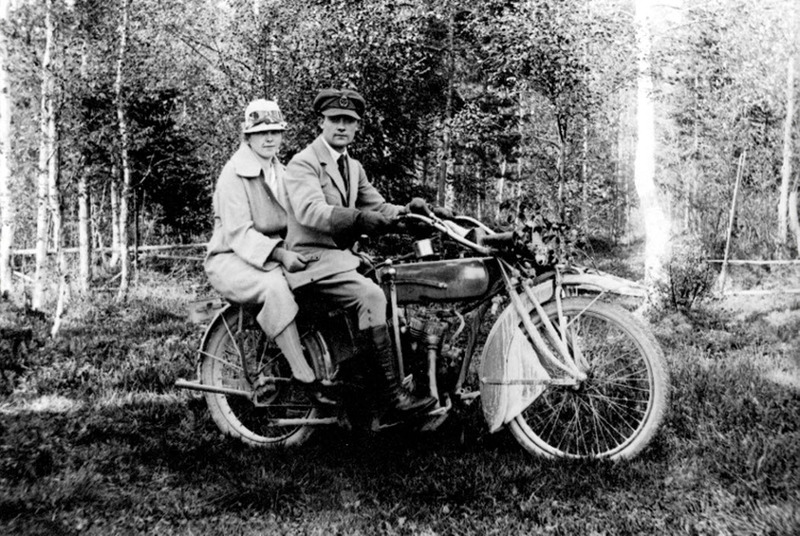 Einar the lucky owner of this Indian Power Plus dated Margret who enjoyed pillow riding. Einars efforts in impressing Margret with his Indian paid out as they later became a couple. In a previous post I stated Corbins where black, which is wrong. I got an e-mail the other day from Perry in Canada that let me learn that early corbins indeed where nickle plated too. This Power Plus sport a nickle plated Corbin speedometer, though no lights. OK, Einar is more concerned with speed than getting home at night?